I like to cut and paste: All Wrapped Up! 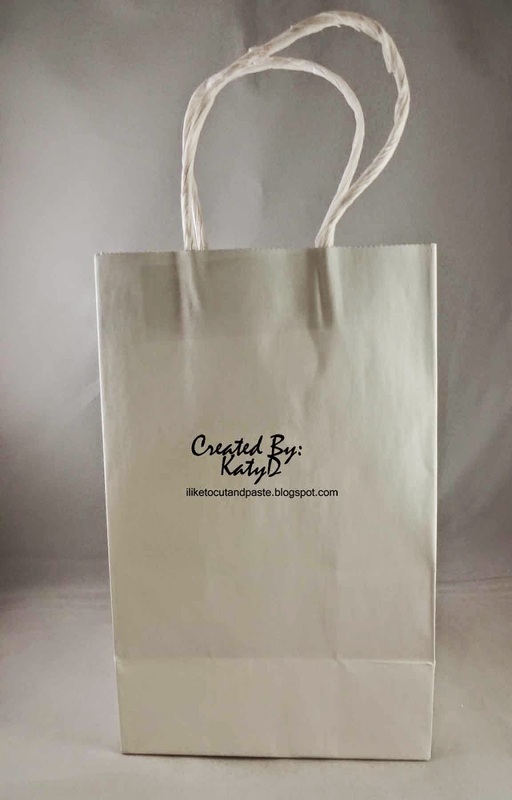 There's a new challenge at Scrap It Girl! Since it's December (already!) and there are lots of gifts to be wrapped-how fun is it to show us something that's all wrapped up! 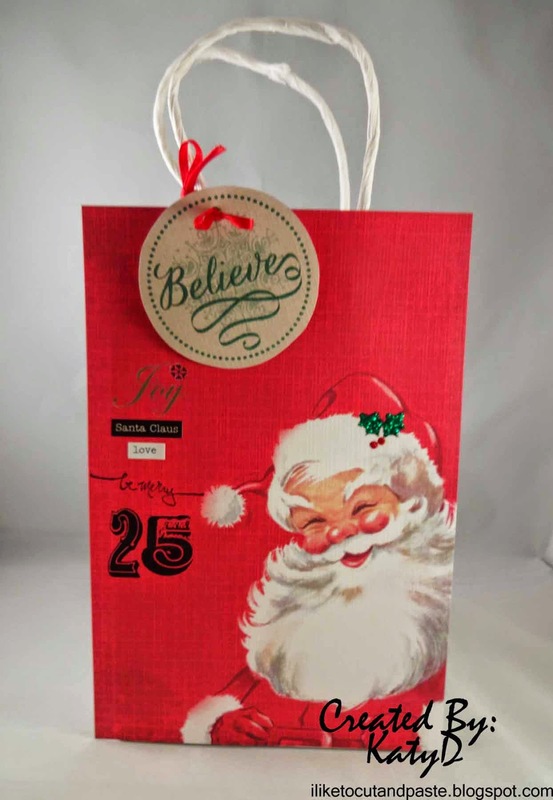 You can show a gift wrap project, a Christmas gift on a card, and scrapbook layout with a gift, or a home made gift bag or box that you create. I decorated a bag for this challenge. I started with this little bag. 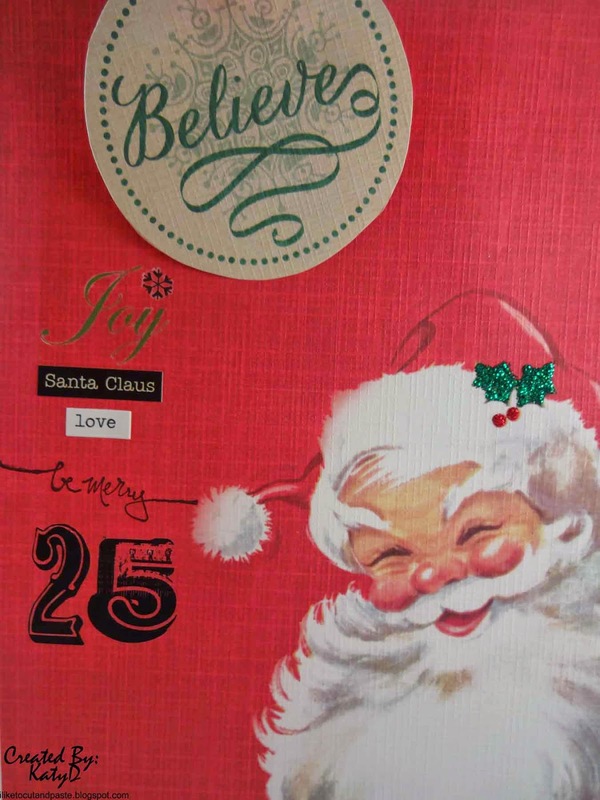 Then I cut a sheet of designer paper from a Craft Smith paper pad (I love these vintage Christmas papers!). And there's a sheet of tags so I cut out the Believe. I added some rub-ons and stickers and one stamp to the left side of the bag. And on Santa's hat I used Stickles for his holly. Thank you for stopping by today! We can't wait to see what you create! Thank you so much for letting me know my tag had disappeared, for Scrap It Girl, I've been having 'issues' with blogger for a couple of weeks! Have righted the problem now. Ohhhhhhhh I love love love this! LOVING that Santa!!!! Lovely!!! Love the challenge idea and you definitely rocked it!!! Friday Fun With Great Impressions!